Just before the shorter format series against England at the beginning of this year, MS Dhoni gave up his captaincy and passed on the baton to Virat Kohli. This meant that Dhoni would not represent India as a captain in any of the formats. 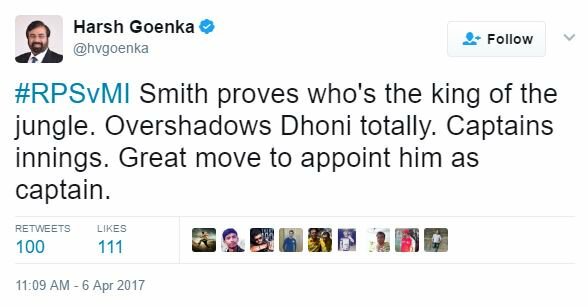 Taking the cue probably, the Rising Pune Supergiants IPL team management also announced that Dhoni would not be leading the side anymore. They also went a step ahead and also informed that Dhoni did not step down, but RPS decided to pass the captaincy to someone young as they did not do well in last season. Now the question is: is it the right decision? We think not. Making brain-fade Smith as captain and expecting Indians to cheer for them? Though the brain-fade incident happened much after the announcement of Smith as the replacement of MS Dhoni but we all know the reputation and attitute of Aussies. And choosing one of the Aussies as the captain when you have someone like Dhoni should actually be a very difficult and painful decision to take. But the way RPS announced it proudly showed otherwise. The point here is, if you care about the stature and reputation of someone like Dhoni, you would convince Dhoni to step down and announce that he has chosen to quit the captaincy and not say that we have removed him. It makes a huge difference. Now one would argue that Dhoni stepping down as Indian ODI and T20 captain did not make any difference in the Indian team and we won both the series so how would it make a difference with RPS? There is a huge difference. First and the foremost, Dhoni quit Indian team captaincy so the Kohli can get time to prepare a team for Champions Trophy in June 2017 and eventually for the World Cup in 2019. That is done for the benefit of Indian cricket. IPL is different. 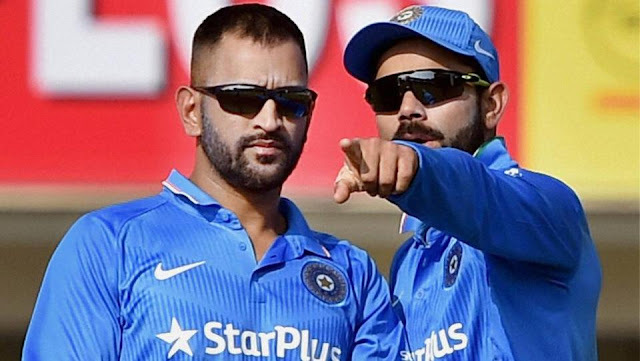 Secondly, if you listen to Kohli after assuming ODI and T20 captaincy, he would always say that he still consider Dhoni as his captain and would take suggestions and learn from him. This was clearly visible in the ODI and T20 series against England when Dhoni and Kohli were seen numerous times on the ground discussing things and taking decisions together. This actually was doubly beneficial as Dhoni was acting like a mentor and at the same time he did not have the burden and pressure of captaincy while batting. It's a win-win situation for Indian team but is it same for RPS? Not so. In case of RPS, the new captain is Steve Smith, and neither we have heard nor seen him taking advice from Dhoni. He is an full time captain of a rival team Australia and doing so is egoistically not feasible, perhaps. Now that is a lose-lose situation. I would not say, God save RPS this IPL because they have demeaned the closest God they got.